I have to admit that I didn't take this picture for the photo challenge. I took this picture to send to my mom, to show her the view from a building I have classes in. BUT it just happened to fit "the clouds" as well! The building this photo was taken from we are looking at tomorrow for a possible wedding reception venue. 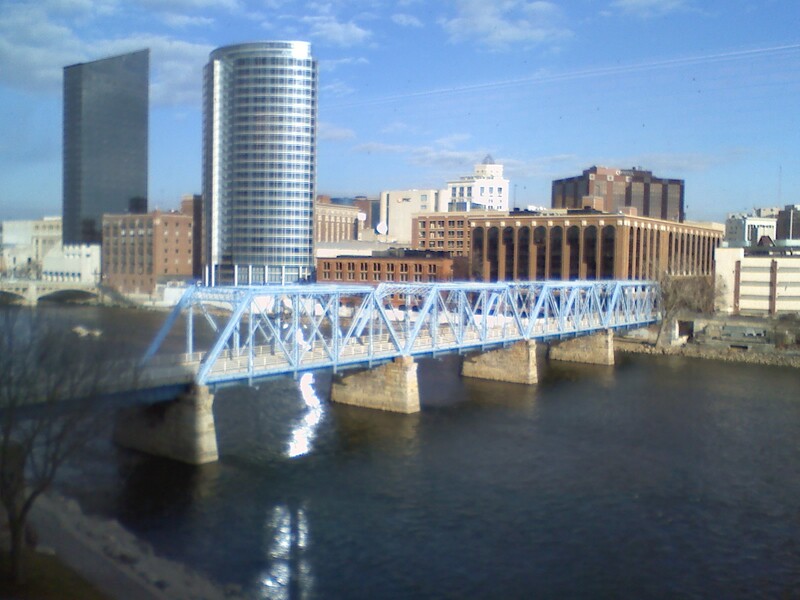 The building has a beautiful view of downtown Grand Rapids. For taking that photo on my not-so-fancy phone, it doesn't look too bad! So bring on tomorrow. My first day as a teacher and a wedding planner.